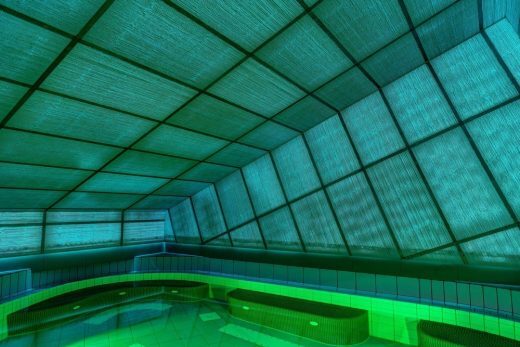 The public swimming pool “Obermaintherme” in the Bavarian city Bad Staffelstein is Bavaria’s hottest and strongest saltwater emerging from 1600 m deep drilled spring. 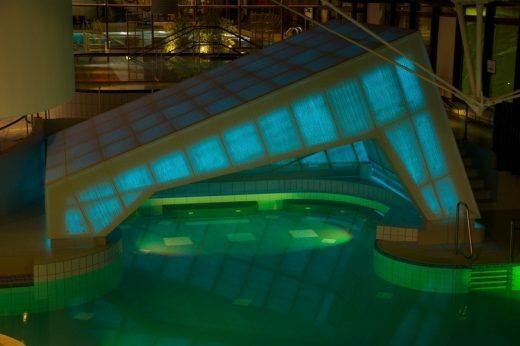 More than 1.600 sqm water surface and more than 15.000 sqm sauna are inviting to relaxing and recovering. The project manager of Krieger Architekten Ingenieure, Arch. 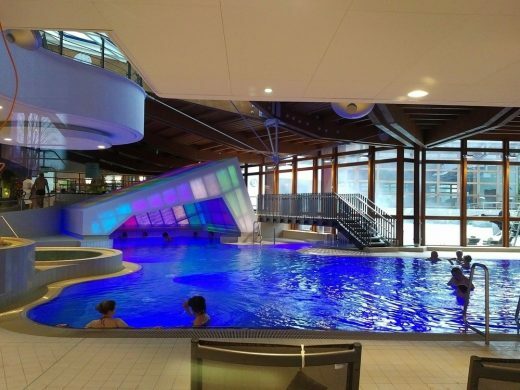 Sonja Baumeister, and her team completely renewed a 170 m² large pool with underwater-jets, a waterfall and a channel as a connection to an existing outside pool. As part of this fundamental renovation, the architects designed for one area of this new pool a cave made of LUCEM light concrete, spanning in the form of a stylized salt crystal about 7 x 5 meters. For the cladding of this monument approx. 200 m² light transmitting concrete were used. 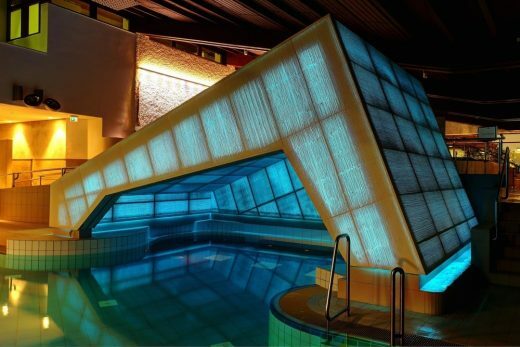 Within the double wall construction on a steel frame there is a programmable LED lighting technology, that can be adjusted to different coloured mood lighting. 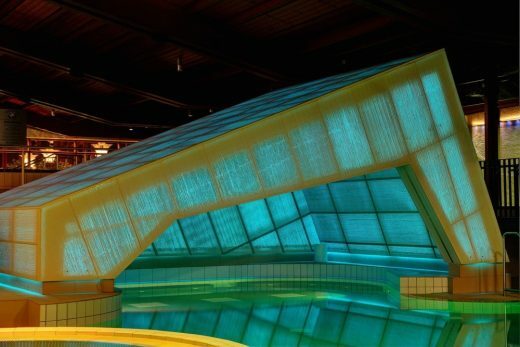 Krieger Architekten Ingenieure, with over 50 years of experience in pool construction, has realized this project as an absolute novelty – a world first salt water application for light transmitting concrete. The salt concentration in this pool is one of the highest levels in brine water from local wells. 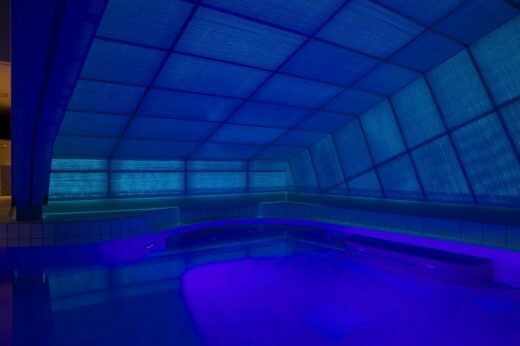 The pool has a salt content of 3.5%, which is comparable to seawater. 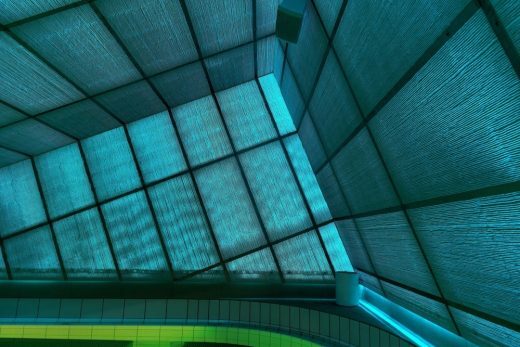 Accordingly, the steel frame inside the LUCEM installation had to be designed as a structure resistant to seawater. For this reason, hot dip galvanizing has been applied in accordance with DIN EN ISO 1461 in combination with a coating system for corrosion category C5-H – the highest level of corrosion protection, similar to open sea oil drilling platforms – according to DIN EN ISO 12944-5 to be used. The steel frame was manufactured as a welded structure of steel frame, then completely galvanized and then a layer thickness of 320 microns primer was applied. Finally, the steel frame was coated again with at least 320 microns twice, after the installation on site. The coating was carried out by a specialized company. After installation of the steel frame on a concrete foundation, the outer shell made of light transmitting concrete was installed by using KEIL undercut anchors. 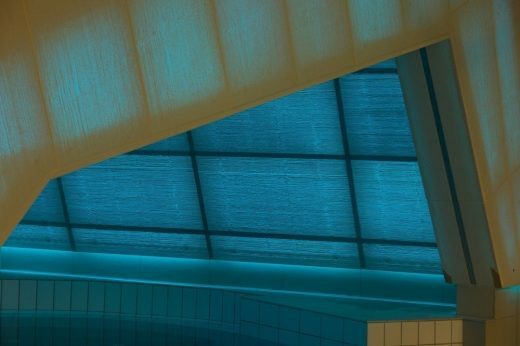 Transparent polycarbonate elements in 2 cm thickness have been inserted as spacers between the steel frame and the light transmitting concrete panels in order to minimize the shadow of the frame. In the center of the 240 mm thick steel frame2-sided RGB LED modules were installed. The modules have been fully filled with epoxy resin to guarantee a long life despite the high humidity and salinity in the air.